Some quick notes about earning Arrow Points… After the boys complete 10 electives, they will earn their Gold Arrow Point. For each 10 thereafter, they will earn a Silver Arrow Point. The electives are themed and categorized, but the boys don’t need to complete an entire category. Each individual elective activity is one-tenth of an arrow point. Also, as you’re working on badge requirements, additional completed requirements “above and beyond” also count toward electives (arrow points). 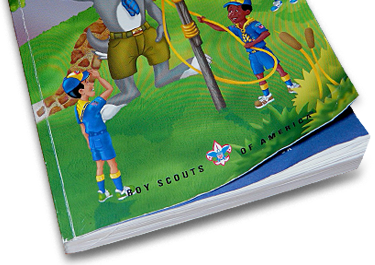 For example, in the Wolf Book, Requirement 12 says “Do Four of These”. There are 10 total from which to choose. Here’s an opportunity to earn up to six electives toward your next arrow point by completing all 10 of the Requirement 12 tasks. That would have you only needing four true electives to earn an arrow point. 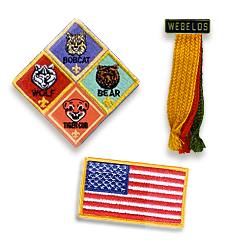 Den Leaders should routinely take a tally from their parents with how many electives or additional requirements a scout has completed and then reach out to our Scout Advancement Coordinator.